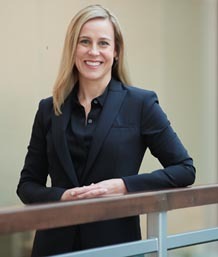 Devry Boughner Vorwerk serves as the Chief Communications Officer and Corporate Vice President, Global Corporate Affairs for Cargill. In that role, Vorwerk is responsible for the company’s global branding, communications, corporate responsibility, sustainable development, and government affairs efforts. Vorwerk has spent her career working at the intersection of geopolitics, stakeholders, and business. Previously, she led Cargill’s global government relations activities in Washington, D.C. and Corporate Affairs for Latin America. She also served as Director of Cargill’s International Business Relations, specializing in its Asia Pacific trade and investment portfolio. Prior to joining Cargill, Vorwerk served as a senior policy advisor in Akin Gump’s public law and policy practice. She also worked at the U.S. International Trade Commission and as senior economist in agricultural affairs at the Office of the U.S. Trade Representative. A passionate advocate for change, Vorwerk serves on the board of Cultivating New Frontiers in Agriculture, the U.S. Global Leadership Coalition, and the Economic Club of Washington, D.C. In 2014, she was named a Young Global Leader by the World Economic Forum and named to the Holmes Report’s Influence 100 list in 2018. Vorwerk is a member of the Arthur Page Society. Vorwerk holds a dual degree in agricultural economics and managerial economics from the University of California, Davis and a master’s degree in agricultural economics, with a specialization in public policy and international trade, from Cornell University.